The publication's primary audience is residents of Cairo but also visitors and scholars/students interested in Cairo's urban and architectural issues. Cairobserver focuses on Cairo’s architectural, urban and heritage landscapes. Cairobserver aims to broaden the conversation about Cairo’s urban and architectural heritage by focusing on specific buildings, sites, issues and presenting personal and historical perspective in an accessible easy-to-read presentation. The website and blog are founded on the idea that Cairo will only transform into a better city if its residents are active observers of the changes taking place around them and if residents are better informed. Cairobserver was hosted at the Townhouse Gallery for three weeks in February 2012 as part of the “In Print” exhibition. 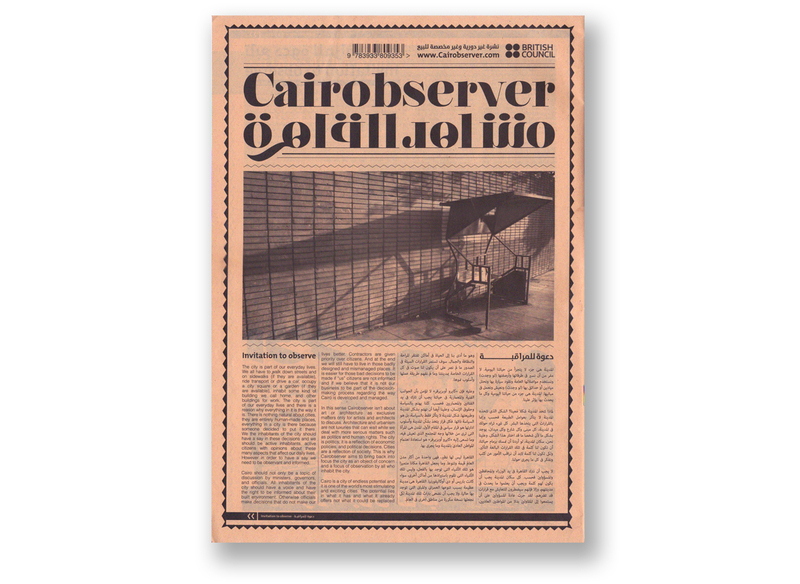 The printed editions of Cairobserver bring some of the mostly English on-line content from the site and present it in an Arabic printed form.